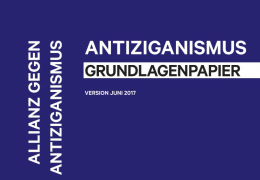 The University of Leipzig published on 7 November 2018 in Berlin the current study results on authoritarian and extreme right-wing attitudes in Germany. The Leipzig University draws the conclusion that both racist and social-chauvinist tendencies in German society have continued to increase. The German society, according to the study, is pervaded by right-wing extremist attitudes. This is especially true of the population in East Germany. In addition, there is a high willingness to devalue others, who are considered as non-German, and in part to question the equal rights of all people in society. It is also frightening that large parts of the society can be mobilized for right-wing extremist goals. In East and West Germany resentment towards groups perceived as foreigners or non-white is manifest or at least latent. 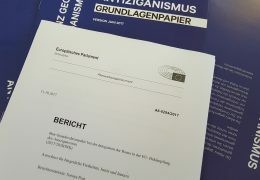 Romani Rose, chairman of the Central Council of German Sinti and Roma, emphasizes that the Leipzig authoritarianism study underscores the urgent need for action by the state and society to ban and sanction antigypsyism and other forms of racism. 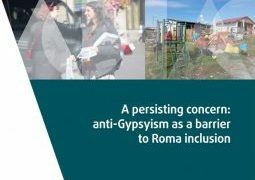 “The study confirms what the Central Council of German Sinti and Roma has been pointing out for years, namely that the centuries-old stereotypes of antigypsyism are virulently present in the centre of society and that they shape and reproduce the antigypsyist image of the minority. It requires great efforts by the rule of law and its educational institutions to counteract the dangerous attitudes that have led to increasing violence against the minority in many European countries and in Germany through antigypsyist agitation. 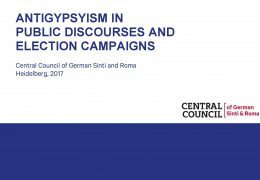 The Leipzig research team concludes that the massive antigypsyism often gets out of sight: 60 percent of Germans agree with the statement that Sinti and Roma tend to crime. In the East, as many as 70 percent of the population believe this. 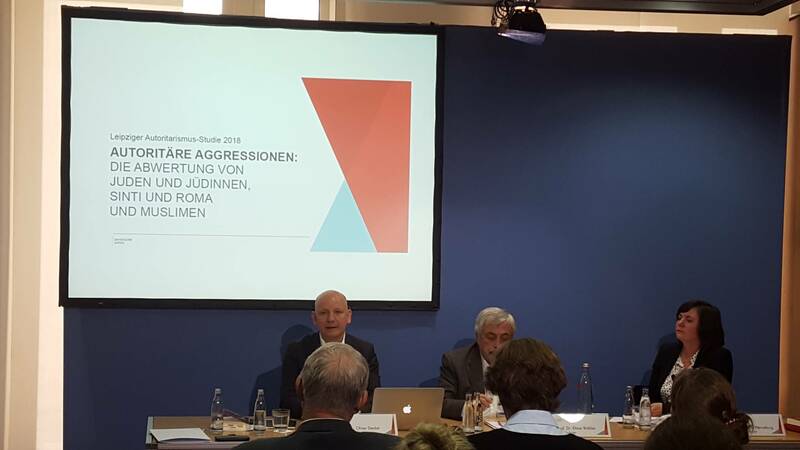 Aside from asylum seekers, Sinti and Roma face the most aggression by society. According to this, 56 percent of the respondents have problems with Sinti and Roma in their neighbourhood and 49.2 percent want to ban them from the inner cities. According to Leipzig researchers, antigypsyism is more widespread in East Germany than in West Germany, where the results are already very high. Only very few Sinti or Roma live in East Germany; but just as there is antisemitism without Jews, there is antigypsyism without Sinti and Roma, says Rose. The Central Council of German Sinti and Roma very much welcomes the fact that the Conference of Ministers of Education is currently preparing a recommendation policy paper to provide knowledge about Sinti and Roma at school, which should be approved in 2019-2020.